Thomas Champy is a Director at Accuracy. Thomas previously acquired an experience in financial audit and due diligence during his three years in a Big 4 audit firm in Paris. Thomas participated in the audit of large French companies listed on the CAC40 and also performed Sarbanes-Oxley procedures and certifications. Thomas subsequently joined Accuracy Madrid in 2007. He has regularly worked as an expert advisor in the context of acquisitions or disposals, including buy-side financial due diligence, vendor due diligence and assistance with price adjustments. He has participated in other situations related to transactions such as pre-deal diagnostic works and post-deal acquisition integration. Thomas also specialises in special situations including joint-venture audits in the Oil & Gas sector and contentious matters, including providing assistance in international arbitration cases. Thomas speaks French, Spanish and English. Thomas has been working for Upstream Oil & Gas industry for almost 10 years. 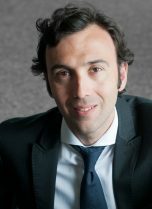 His experience in the Exploration & Production (E&P) sector encompasses joint-venture reviews (pre-dispute contexts), farm-in/out due diligence assessments and other consulting projects for many operators and majors of the industry, in different regions: South America (Colombia, Peru, Venezuela, Trinidad & Tobago,…), Africa (Algeria) and Asia (Azerbaijan). Thomas has worked on a large variety of issues requiring in-depth Oil & Gas sector expertise for commercial events, legal disputes, tax issues, legal and PSC obligations, market regulations and suppliers’ contract specificities. Over the last 10 years, Thomas has participated in more than 25 E&P joint-ventures audits. – Check that oil and gas sales to main shareholder’s affiliates are optimised. – Review of corporate costs charged by all main shareholder’s affiliates (reasonability of such services and transfer prices compliance). – Review income tax calculation and check tax obligations compliance (non-deductible costs). – Vendor audits and tender process reviews. – Farm-in/outs due diligence processes: review the financial statements, verify the consistency with legal documents and ensure operator´s compliance with all the agreements in force, and detect and quantify hidden liabilities. – Internal control assessment: cash modelling and design of cost allocation methods. Real Estate: vendor and buy-side due-diligences of significant retail asset portfolio and shopping malls. – Support on several ICSID arbitrations investors against the Kingdom of Spain (critical analysis of the damage quantification and the Claimant’s claim and alternative valuation). – Buy-side due diligence for a private equity on several wind and photovoltaic plants based in Spain. Pharma: buy-side due diligences of various laboratories networks.